The Plush Team has an annual tradition of finishing out the year in style with a secret-Santa-style swap on Russian Christmas and the 2010-2011 transition is already turning out to be warm and bright for me. 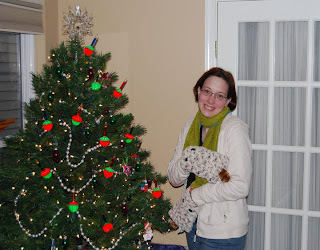 Two days before Christmas (yes, the traditional Christmas! ), I received a package in the mail from my secret Santa! We all know that plush goddess Abbydid is an amazingly talented lady and her latest creations are no exception. My gift included two of Abbydid's newest designs... a new and improved monster muff and a monster scarf! 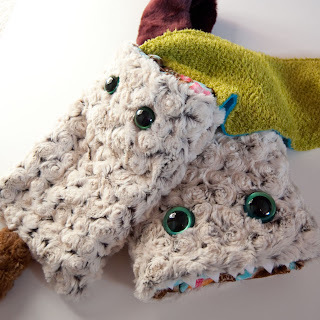 Those of you who follow Abbydid's work may know that she already has a line of monster muffs, including adorable muffettes for children. Her new and improved design for adults is smaller so that you can keep your hands closer together in the snuggly warmth. 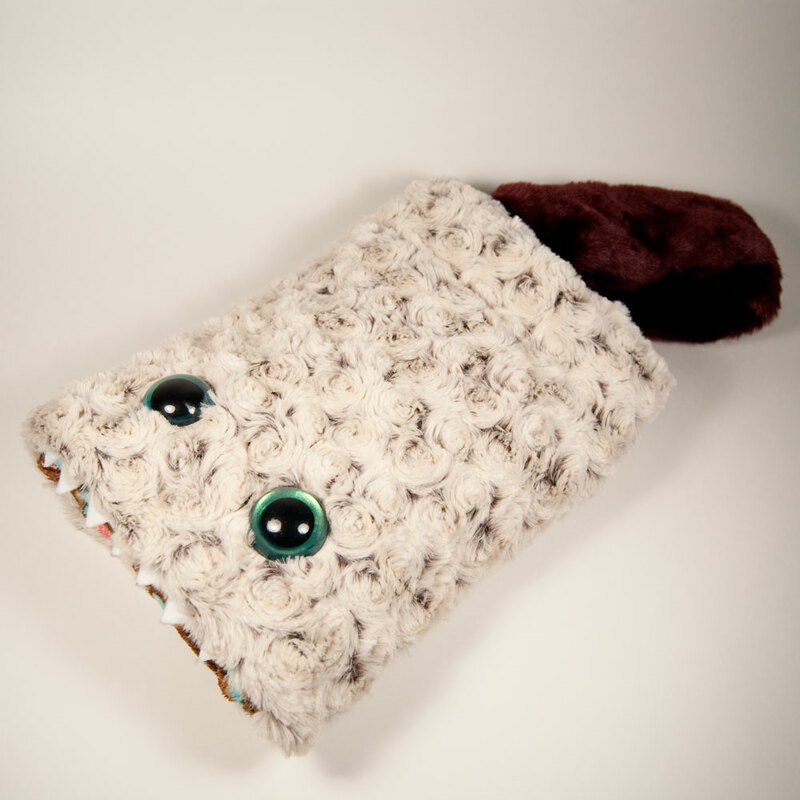 And OH MY GOSH... my monster muff IS SNUGGLY! My other gift from Abbydid was an amazing, extra-long, monster scarf -- complete with a snuggly soft mitten-sized monster at each end to keep my hands warm and toasty. It goes without saying -- I love it! 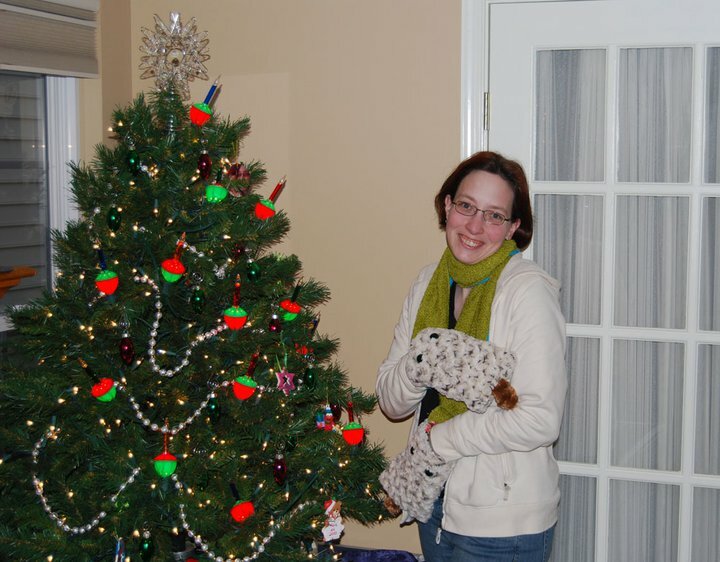 All of the Plush Team members participating in the swap have promised to post pictures of their gifts on the blog, so keep your eyes peeled for more incredible warm and fuzzies made by the people who love plush most FOR the people who love plush most! And to all our friends and fans, a happy healthy 2011! So jealous (and also happy for you) of your gifts from Abbydid, I loooove her various monsters.